It’s fun to learn in Maus-Land! For children aged between 3 – 12 we offer mixed group lessons split into the appropriate ability and ages. 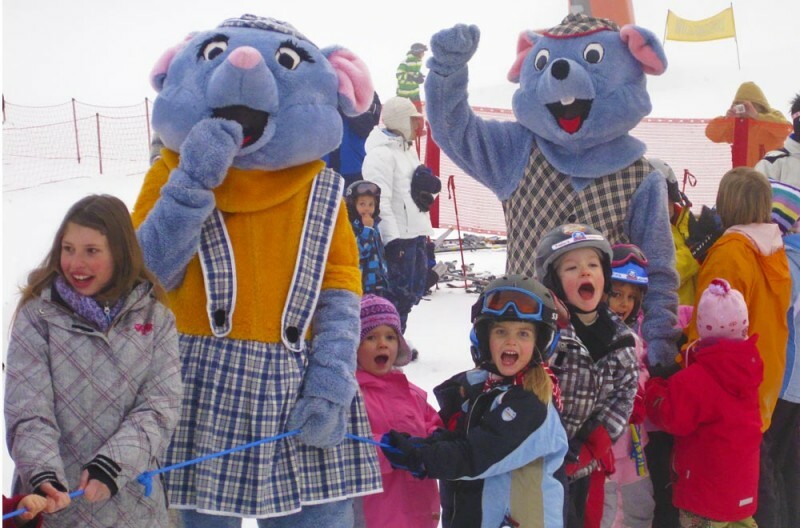 The new learners will be introduced into the brand new world of skiing and all things snowy in a playful and knowledgable way. 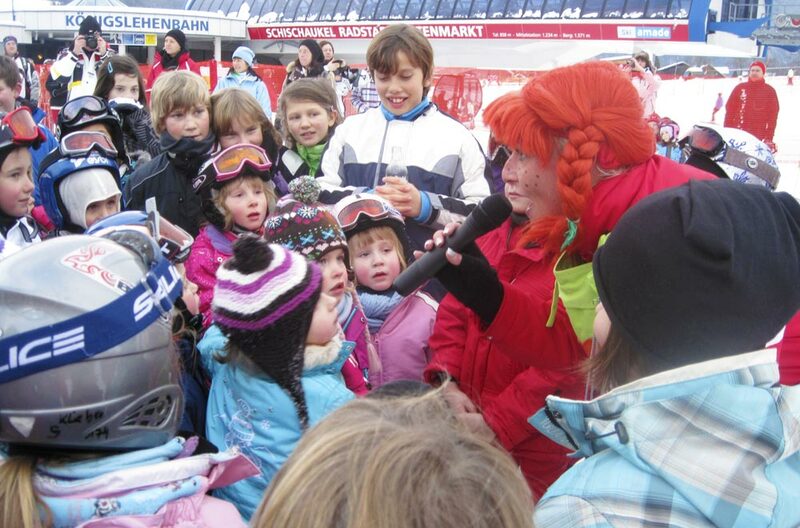 Our experienced instructors (the ‘red pros’), are fun to learn with along with the help of our mascots, Mimi and Max Maus, Pippi Skistockings and our friendly giraffe, Lotta. 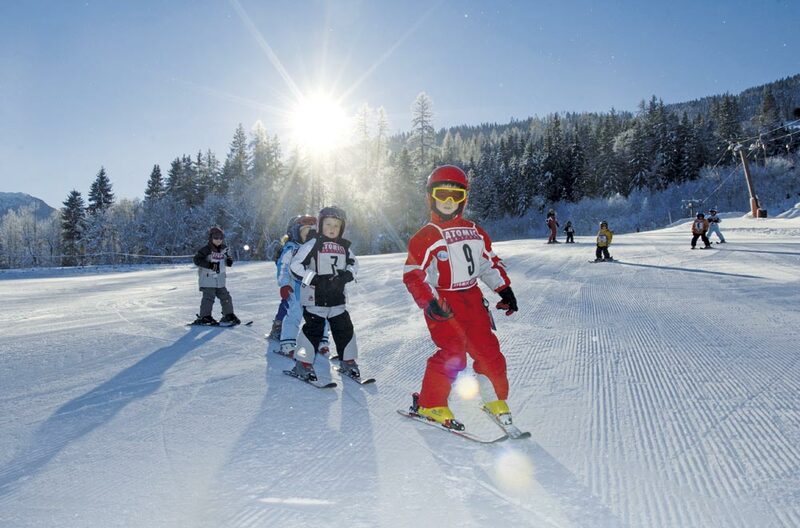 On 1st Day of the course, the children meet at 9.30am for classification. All classes start on time. max. 10 children – we try not to exceed 8 children in a class. The price includes VAT. The price does not include lift ticket. 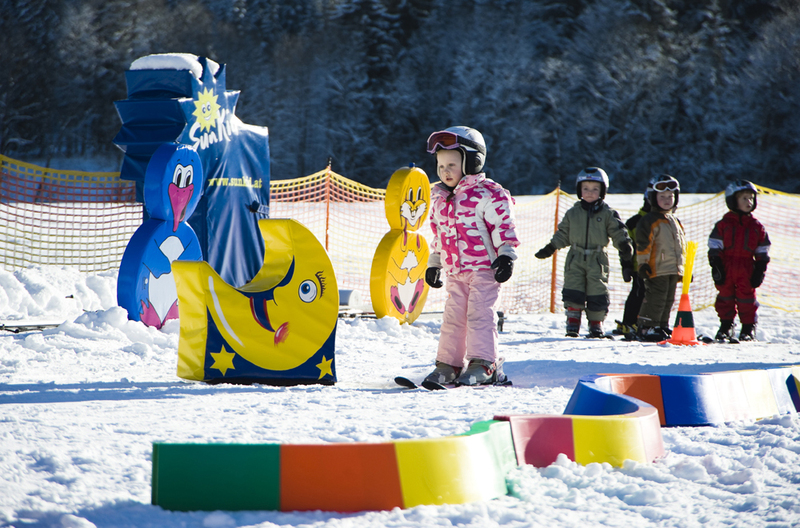 Use our ski carousel, ski like noodles, around cones, poles, ropes,etc. 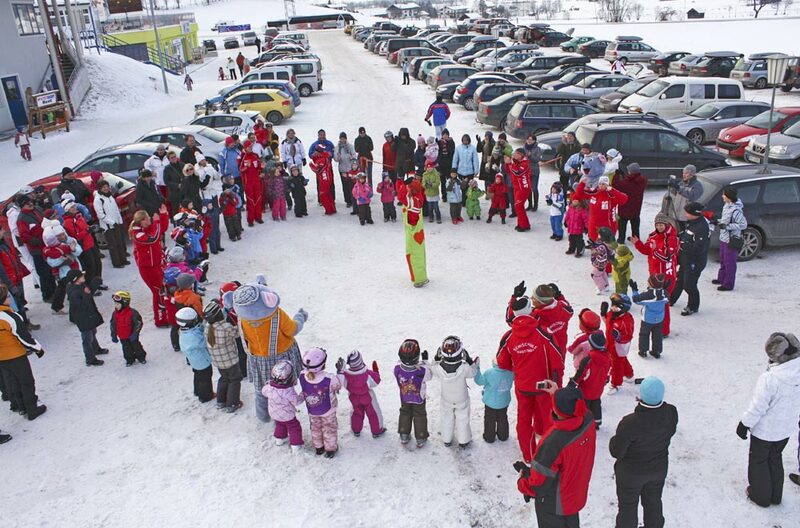 11.00 Race at the Sonnalm drag lift. 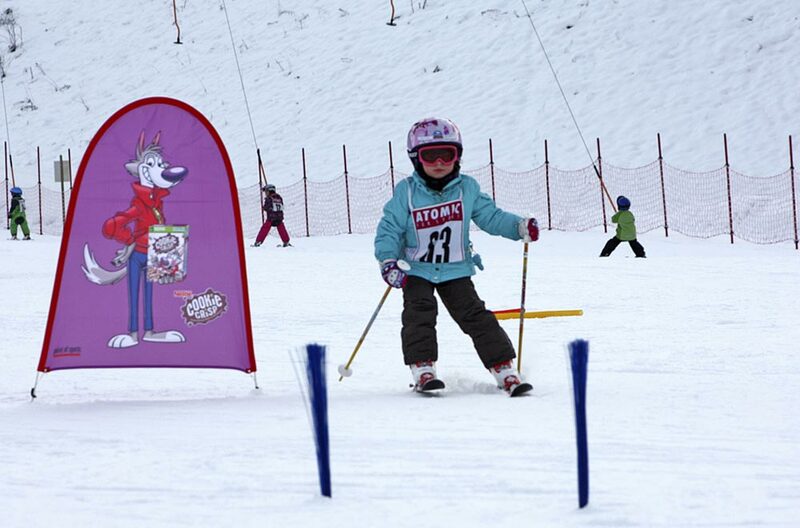 15.00 Race at the Ski School drag lift. 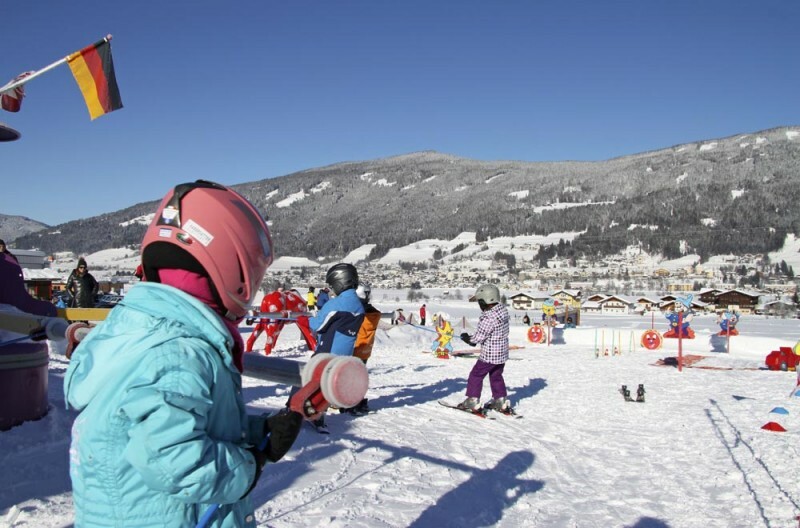 Helmets are mandatory for ALL children up to 15 Years. 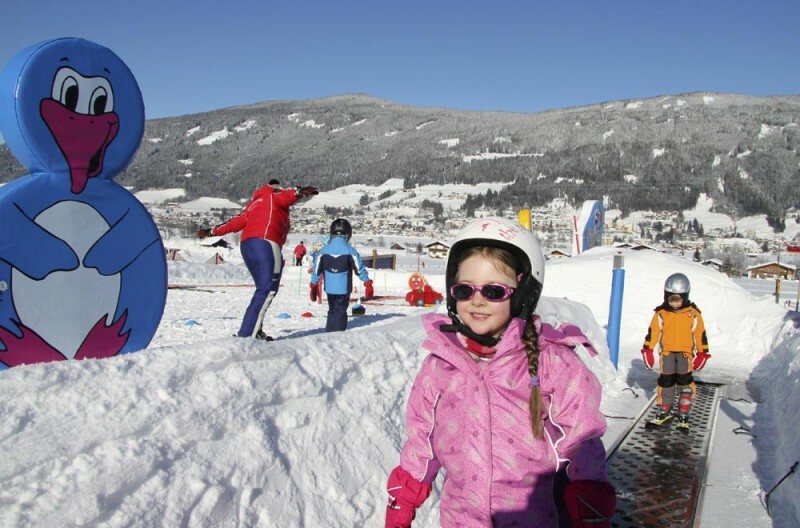 Don´t forget goggles and sunglasses, tissues and sun or cold cream. 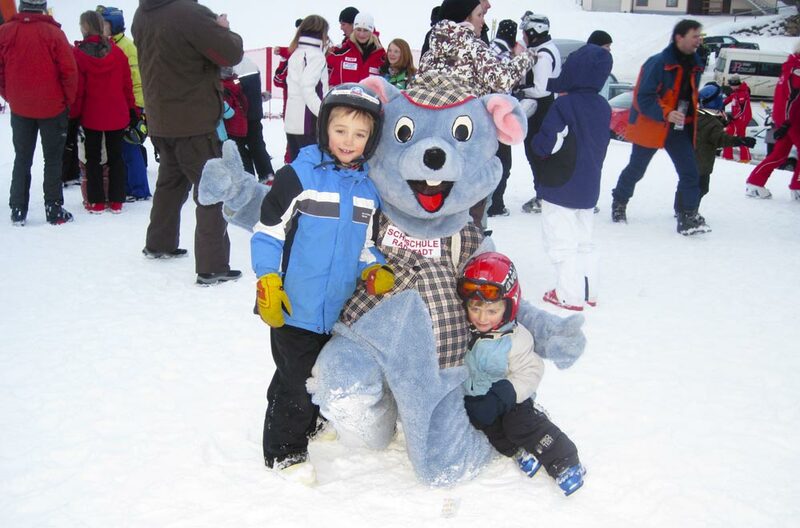 For the duration of the ski course, you can rent a ski helmet in Intersport Flory for free. 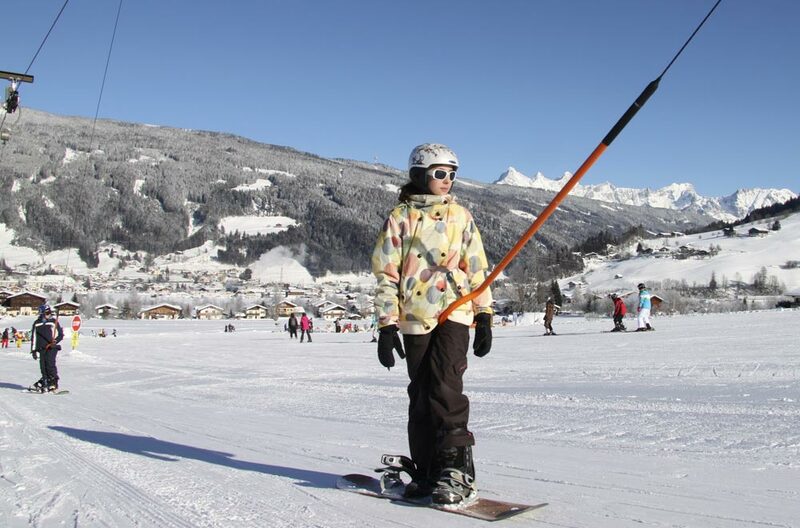 Poles are not necessary for beginner children. If your child has an illness, allergy or similar, please let us know. 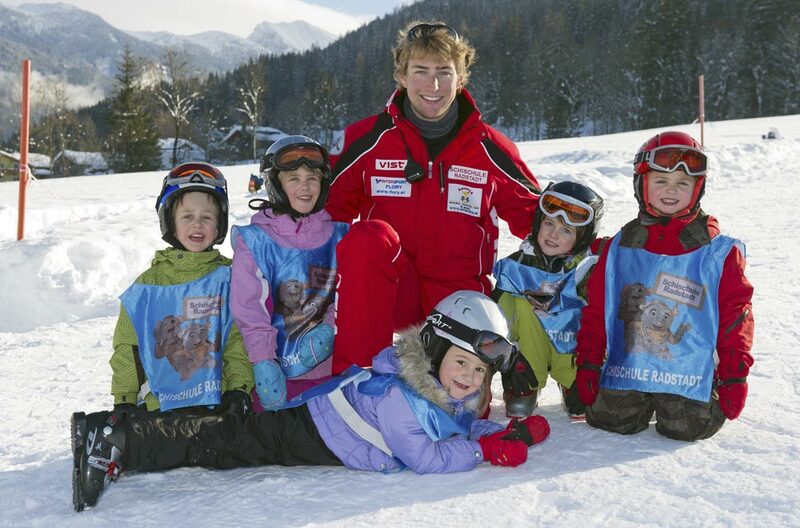 To ensure a smooth process, it is important that the children know the name of the instructor. Please always ask the teacher. 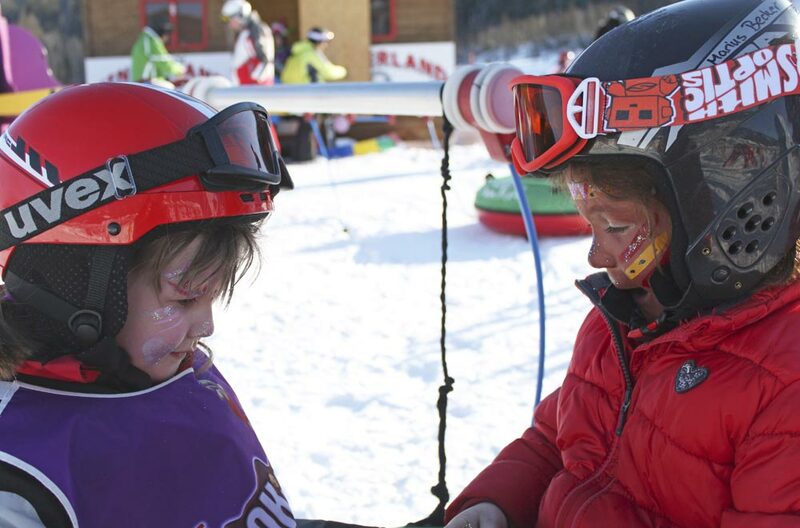 In urgent cases, you can find a contact person at the children´s area near the button lift, or the office. … A magic carpet, a carousel, our mousy mascots Mimi and Max, Then there is Pippi Skistockings and her friend Lotta the giraffe. Our weekly race awards ceremony, when each child gets a medal and a certificate standing on our winners’ podium. Great fun can be had whether at the magic clown show, the sparkling New Year’s Eve party, carnival party or the exciting Easter hunt. 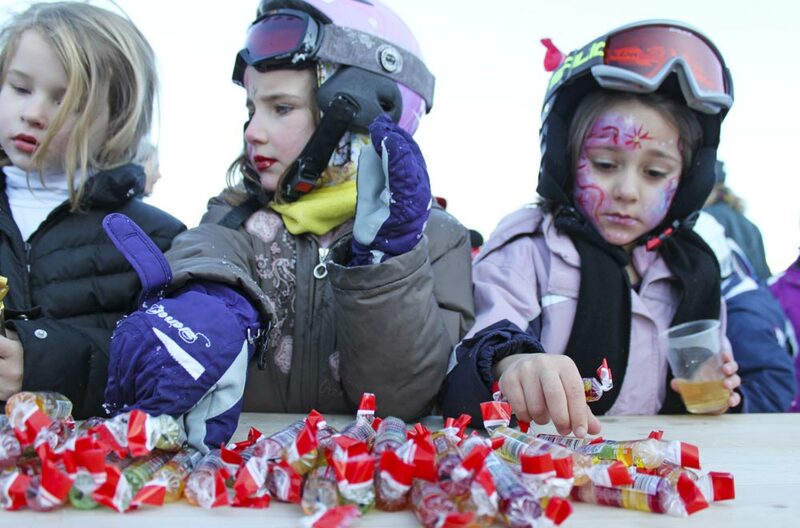 Face painting, treasure hunts, children’s dances with Pippi Skistockings and much, much more is waiting for kids at Radstadt Ski School. And as a special thank you and something to remember us by, each child can buy a CD with all of our party and dancing songs.